About – Hill Business Students' Society | Engage. Enrich. Excite. The Hill Business Students’ Society (BSS) represents the students of the Paul J. Hill School of Business at the University of Regina. Our BSS Executive and Council of over fifty student volunteers organize and facilitate value-adding events and activities for over 1600 students. We believe in practising ethical business values while being leaders and role models in our faculty and community. We provide opportunities for students to practice their networking skills, interact with business community members and teach students to find a balance between work and play in their everyday lives. One of our goals on the Hill BSS is to engage business students at the University of Regina. We want students to step out of their comfort zones and know that there is so much more to learn about business than is taught in the classroom, like networking skills for instance! We are also passionate about getting students out there to meet people and create life-long friendships and connections that will benefit them far beyond their degrees. Another one of our main goals on is the enrichment of the university experience for business students at the Paul J. Hill School of Business. We do this by hosting numerous flagship events throughout the year, by providing learning and networking opportunities for our international and domestic students, by sending students to conferences and case competitions around the world, and through our various mentorship programs. The opportunities in the business world are endless, and we want students to be excited about that! Through our various networking events and conference opportunities we strive to show our students that the sky is the limit for them and that their future in business is truly something to be excited about. Hill Business Students' Society | Engage. Enrich. Excite. accounting and plans to pursue her Chartered Professional Accountant designation upon convocation. This is Taylor’s second year on the BSS Council, previously serving as a Hill Case Competition Co-Chair. In her free time Taylor enjoys dancing competitively, reading, drama, traveling, and spending time at her family cabin in Clear Lake, Manitoba. Taylor is looking forward to challenging herself in her new role while planning valuable events for all Hill students. Amy is a second year student at the Paul J. Hill School of Business. She is a transfer from Saskatchewan Polytechnic where she completed a Business Administration Marketing Diploma. Amy’s goal is to enter the world of sports marketing or non-profit upon graduation in 2019. This is Amy’s second year with the BSS after getting her foot in the door through the Breakthrough Program. Outside of school she is an avid sports enthusiast - cheering on her favorite baseball and hockey teams while competing provincially and nationally in 5-pin bowling. She also enjoys advocating and raising awareness about organ donation through her families initiative, the Karen Pilon Organ Donor Awareness Foundation. 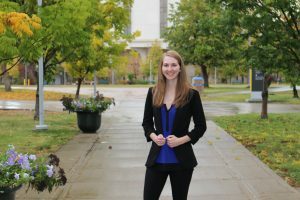 It’s her hope to bring new programs and activities to the faculty that open doors for students and enrich their time at the U of R to the fullest. 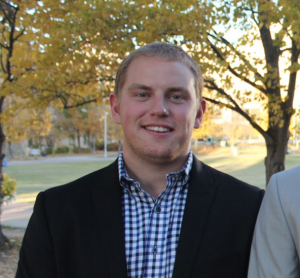 Kyle is a fourth-year student, pursuing a Marketing Major, Film Studies Minor, & Certificate in Economics. Kyle spent two years on the BSS marketing team before making the jump to VP Marketing this year. 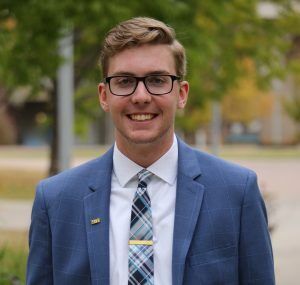 You can find Kyle heavily involved at the UofR in other programs outside of the BSS, which includes: competing for the Hill JDC West Team, shooting T-Shirt cannons at Cougars & Rams games, and attempting to win intramural championship shirts in Softball, Dodgeball, & Flag Football. 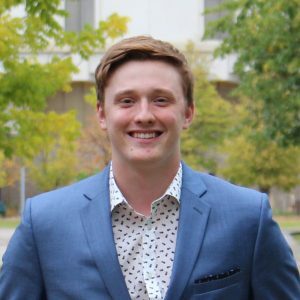 Kyle is most looking forward to the challenge of a VP position, along with meeting as many new students outside of his current social circle as possible! Jon is a fourth year business student who is majoring in finance. This is his first year with the BSS but he has previously served as the Chief Operating Officer for UR Investing. Jon enjoys recreational sports, but has always put a heavy emphasis on the "recreational" aspect, and much less of an emphasis on the word "sports". He enjoys spending time outdoors, whether that is riding a snowmobile or fishing on the lake and he always enjoys time with his friends and family. Jon is very much looking forward to this year with the BSS. 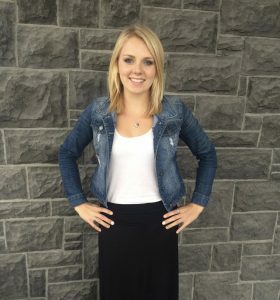 Mackenzie is a third-year business student majoring in accounting. After obtaining her degree she hopes to pursue her Chartered Professional Accountant designation. 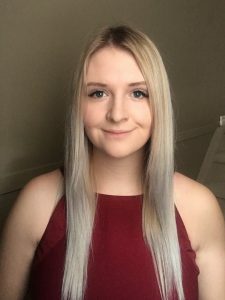 For the majority of her life she has lived in Redvers, a small town located in southeast Saskatchewan before moving to Regina for University. This is Mackenzie’s second year on the BSS council, previously being one of the Winter Gala Co-Chairs. Outside of school she enjoys spending time with family and friends, as well as playing any sort of recreational sports. She is most looking forward to building new networks, having further engagement within the Business Faculty, expanding her knowledge within the area of finance, as well as meeting and making new friends throughout the year! Megan is a third-year business student majoring in finance. This is Megan’s third year on the council, previously a breakthrough member, and then a co-chair for Kega-Rama. She is also on the finance team for Hill JDC West. 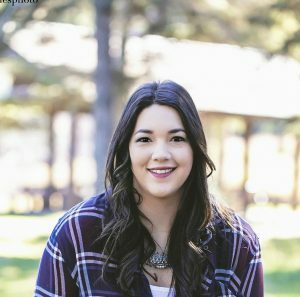 In her spare time Megan enjoys spending time with family, traveling, farming, hunting, fishing, and relaxing at her family cabin at Buffalo Pound. Megan is excited to grow her network and further her leadership and business skills this year, while getting to give back to the students at the University!